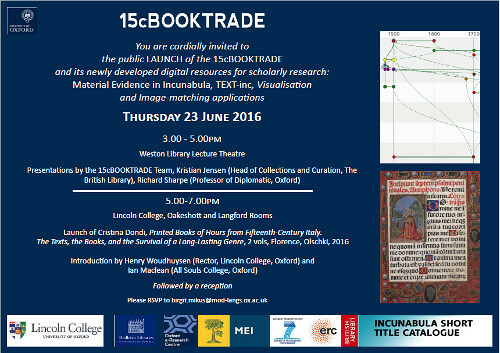 15cV, the visualisation tool applied to MEI and TEXT-inc, was launched in Oxford, Weston Library, on 23 June 2016. Guidelines on how to use it will be shortly provided on this website. A video on 15cV in action can be seen here.